When I was a child my Dad shared his love of the universe with me. We lived outside the city and when it was clear we would look up in amazement at everything we could see and imagine all those celestial bodies we knew were there but could not see. 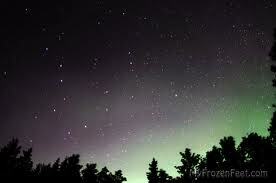 Now, on cold nights when everything above seems crystal perfect, the stars call out to me again. If you need help telling Orion from Ursa Major a good starting point is The Backyard Astronomer’s Guide. 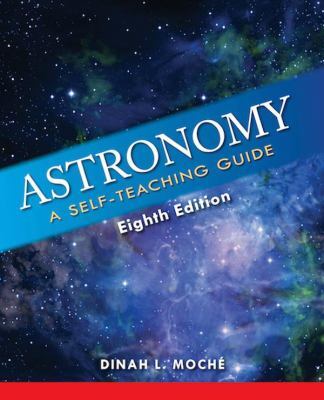 Astronomers Terence Dickinson and Alan Dyer provide expert guidance on the right types of telescopes, astrophotography, star charts, software, and more. With over 500 color photographs and illustrations, this book is one of the most valuable, beautiful, and user-friendly astronomy books ever produced. For a guide to Winnipeg skies one of the newest experiences to see right here in our city is “the first Planetarium in Canada to feature the new all-dome Digistar 5 projections system”. With a landing sequence worthy of a Hollywood flick the rover Curiosity has landed on Mars. Got an extra $30 billion? Robert Zubrin has a project for you – colonization! The Case for Mars is his guide to planning missions, building a base , exploring a new planet, and why it’s all a great idea. Here’s how explorers can use existing technology to travel to Mars, manufacture fuel and oxygen with Mars’ natural resources, build settlements and one day perhaps even terra-form. Remember when there were nine planets? When Pluto was discovered it was thought to be as big as Earth, based on how much light it reflected. It turns out Pluto is an ice ball, smaller than our Moon, but reflecting more light. How I Killed Pluto and Why It Had It Coming is Mike Brown’s story of how he made the discovery of a lifetime, a tenth planet, leading to Pluto’s demotion to the status of “dwarf planet”. Much to his surprise, Brown received hate mail from schoolchildren and fended off the media. 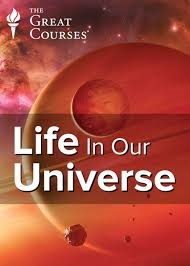 He gives an insider’s view of perhaps the most tumultuous year in modern astronomy. Gravity’s Engines: How Bubble-Blowing Black Holes Rule Galaxies, Stars, and Life in the Cosmos by astrophysicist Caleb Scharf explains how recent research has revealed different sides to the “classic” black hole. These chasms in space-time don’t just vacuum up everything that comes near them; they also spit out huge beams and clouds of matter — black holes blow bubbles! Find out what these super-heated jets of stellar wreckage mean to us on earth. Recently we witnessed a transit of Venus, when it moved between the earth and the sun. Today such a transit is mostly spectacle but not long ago it was the key to calculating the exact earth-sun distance, a measurement that would help astronomers improve their understanding of our solar system and aid navigation for ships at sea. Teams from Europe and America raced to get to locations that would give favourable viewing locations for the 1761 and 1769 transits – the world was a much bigger place when travel was only by horse and sail. The Day the World Discovered the Sun by Mark Anderson and Chasing Venus by Andrea Wulf look at these transits, when astronomers struggled to reach prime viewing locations in distant lands; from arctic islands to the trackless forests of Catherine the Great’s Russia, from the shores of Hudson Bay to Point Venus, Tahiti. Some teams endured months of travel in heartbreaking conditions, desperately hoping for a sunny day. 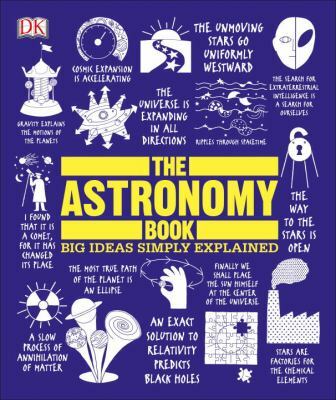 Stephen Hawking’s A Brief History of Time has been called the “least-read bestseller ever”; also available as an illustrated edition or a book for younger readers written with daughter Lucy. Hawking explores such thoughtful questions as: How did the universe begin and what made it possible? Does time always go forward? Is the universe unending or are there boundaries? Are there other dimensions in space? What will happen when it all ends? Victoria works in adult reference where she puts her overactive imagination to work everyday. Posted in Miscellaneous, Readers' Resources, What to Read Next?